A move to raise the cost of liquor at Virginia's beverage control stores is distilling sour spirits from restaurants and bars, as well as consumers. As part of a plan to close a $2.4 billion gap in the two-year budget, Gov. Terry McAuliffe has directed the Department of Alcoholic Beverage Control to hike the costs of liquor. In McAuliffe's $92.4 million package to address the shortfall -- which also includes state worker layoffs and targeted budget cuts -- the liquor price hike plays a small part, yielding an estimated $2.5 million in the current fiscal year. However, it may be the part that touches a broad swath of state residents most directly. While the agency has not yet decided how or when it will raise prices, consumers visiting the state's 350 liquor stores or eating and drinking at restaurants and bars will bear the brunt of the price hike. Virginia saw record alcohol sales of $801 million in the latest fiscal year -- the 16th consecutive year of record-breaking sales. 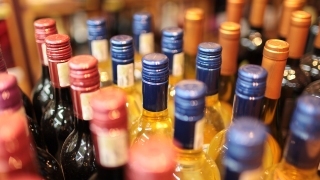 Because sales are controlled by the state, alcohol is already costly, averaging a price markup of about 69 percent. The agency said the last markup increase of 4 percent on distilled spirits occurred in February 2008. "It just makes it harder for consumers to go out and spend money," said Travis Croxton, co-owner of Rappahannock River Oyster Co., whose restaurant in Richmond was named this week as one of the 12 "Best New Restaurants" of 2014 by Esquire Magazine. "Any kind of increase to any of our food and beverages has got to be passed on to the customer because the margins are so tight in restaurants that you can't operate by eating those kind of increases." Virginia has nearly 14,000 restaurants and bars that were projected to register nearly $14 billion in sales in 2013 and accounted for 348,100 jobs, according to the National Restaurant Association. And the state Department of Alcoholic Beverage Control says the industry accounted for about 18 percent of its sales last fiscal year. "It's certainly something that I think the industry's got to quickly evaluate. It's a direct impact on their cost ... and it's not the easiest time to increase prices as well," said Eric Terry, president of the Virginia Hospitality and Travel Association, which represents many of the state's eating and drinking establishments. The Distilled Spirits Council, an alcohol industry group, also expressed concern over the plan, calling it a "stealth tax on consumers" in a state with the third-highest liquor tax in the nation. In a written statement, the ABC said the agency will seek comment from its stakeholders, including vendors, suppliers and industry representatives, and working with them to "accommodate their business needs." For customers who tallied nearly 28.8 million transactions at the state-controlled liquor stores last fiscal year, the move doesn't just mean higher prices when they eat out, it also means price increases when they shop on their own. "I was shocked at how expensive everything was and now if it's going to go up even more; I don't think I'll be a customer very often," said 47-year-old Rick Gonzales, who picked up a bottle of Maker's Mark bourbon at a suburban Richmond store Wednesday, the day the plan was first announced. "But if it was me that was being laid off ... (raising liquor prices) would be better than cutting jobs. It's tough enough out there financially."